HomeUnlabelled Cement Bricks Quality is most Important to making Strong Bricks. Cement Bricks Quality is most Important to making Strong Bricks. 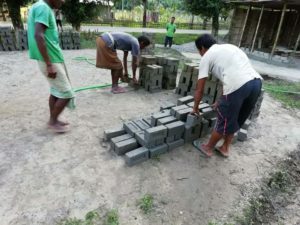 We are making high-Quality Cement Bricks Here in Assam Udalguri District MS Ambika Enterprises is a Cement brick making Projects where we are making high-quality cement bricks most powerful and most demanded we able to produce 2000 each and every day. you can contact us for booking cement bricks for your dream house. you only need to contact us and books the bricks we are selling best quality cement bricks under reasonable price per 1000 bricks price 8000 per bricks 8 rs. if you want any low-quality cement bricks for your boundary wall and other purposes you can contact us. for more details, you only need to call us. You get the best deal with us when you are coming to buy high-quality cement bricks under. 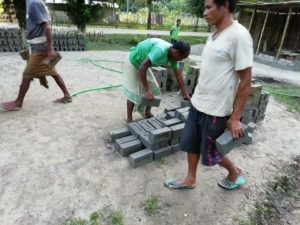 we produce high-quality cement bricks in all over Udalguri district. 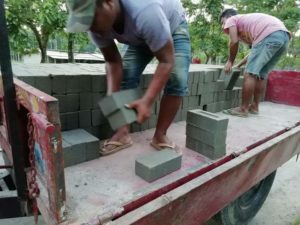 We Start selling best quality readymade cement bricks 28 Aug 2018 still we have more than 40 clients all over Udalguri District and our all clients are very satisfied with our cement bricks they like the quality of bricks. 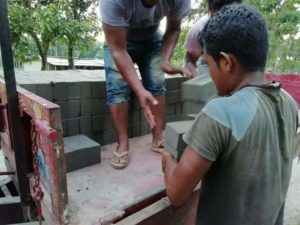 Our Client gives us Positive feedback and that feedback inspiring us to making the best quality cement bricks and Selling all over Assam. More details, you call us anytime - 7827927245.